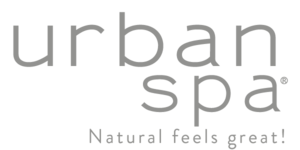 Urban Spa offers you a high quality product line to create a spa in the comfort of your own home. Pampering yourself at home can be an experience for all of the senses and can take only a few minutes or a few hours. Regular exfoliation is key to healthy beautiful youthful skin. Daily buildup of dead skin cells, clogged dirt and oil can clog pores and leave your skin dull and lifeless. The gentle plant fibers in Urban Spa products exfoliate the skin, leaving it subtle, glowing and invigorated. All Urban Spa products are unbleached and sustained through responsible harvesting practices.